The deadline is Wednesday 9 November – winning this award would really help to raise awareness of Martineau Gardens, so please do press the button! 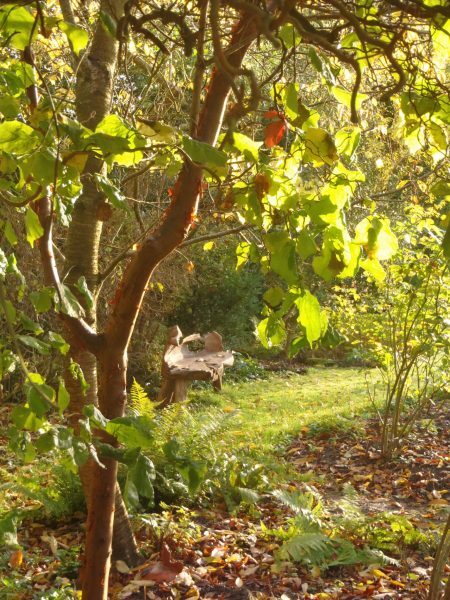 Martineau Gardens is a beautiful therapeutic community garden and a charity, located two miles from Birmingham City Centre. It’s a green oasis teeming with wildlife and is looked after by volunteers, many of whom have mental health issues and learning disabilities. Hundreds of school children visit the Gardens to learn about science and environmental issues. Every year Birmingham people visit the gardens to explore its woodland, glass houses, formal garden, orchard, demonstration food growing areas, wildflower meadow, pond and wildlife area with SLINC status. 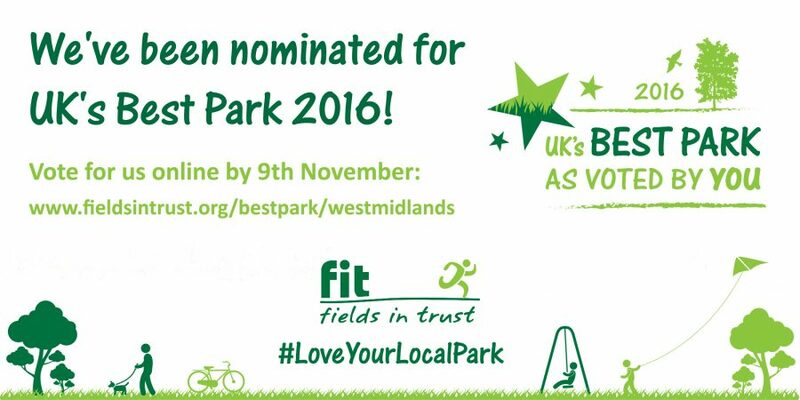 Across the UK nominations include large nature reserves and small community gardens, sports fields and playgrounds, each one a green space valued by the local community. Fields in Trust is a national charity that operates throughout the UK to safeguard recreational spaces and campaign for better statutory protection for all kinds of outdoor sites. Martineau Gardens is one of 214 nominated parks across the UK. 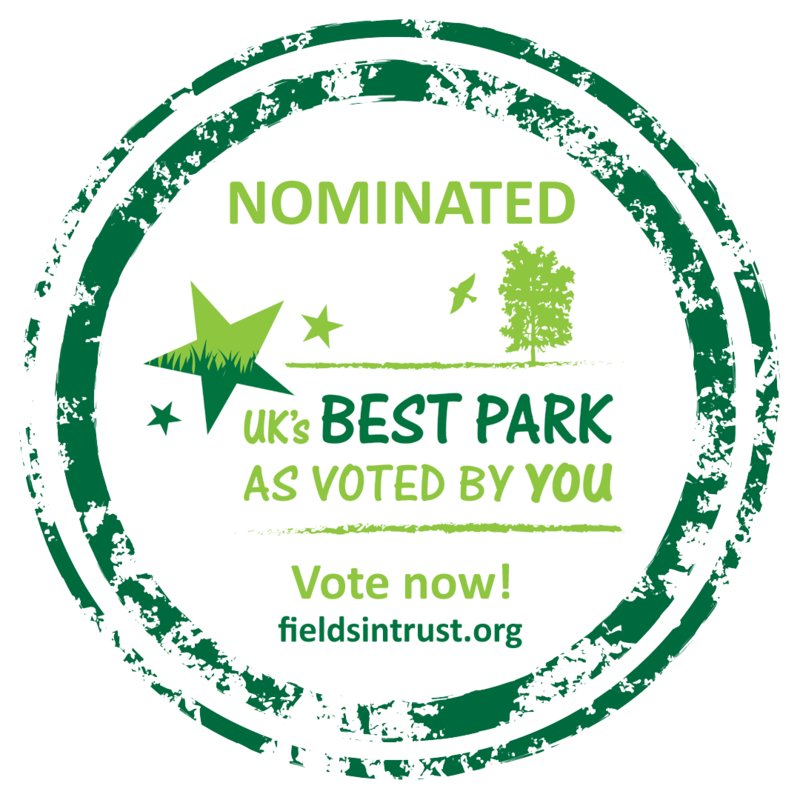 The park with the most votes in each of England, Wales, Scotland and Northern Ireland will be shortlisted and nominators will be invited to attend the prestigious Fields in Trust Awards at Lord’s Cricket Ground in November where the UK’s Best Park 2016 will be named. Fields in Trust Chief Executive Helen Griffiths said: “We want to celebrate the parks and green spaces which are so vital to the communities that use them. A good park is reflective of the community it serves, but, as they are not a statutory service for local councils to provide, these much loved places are increasingly under threat of being lost to development. Fields in Trust legally safeguards over 2,600 parks, playing fields, playgrounds, recreation grounds and other open spaces throughout the UK – a total of 12,000 hectares (30,000 acres).